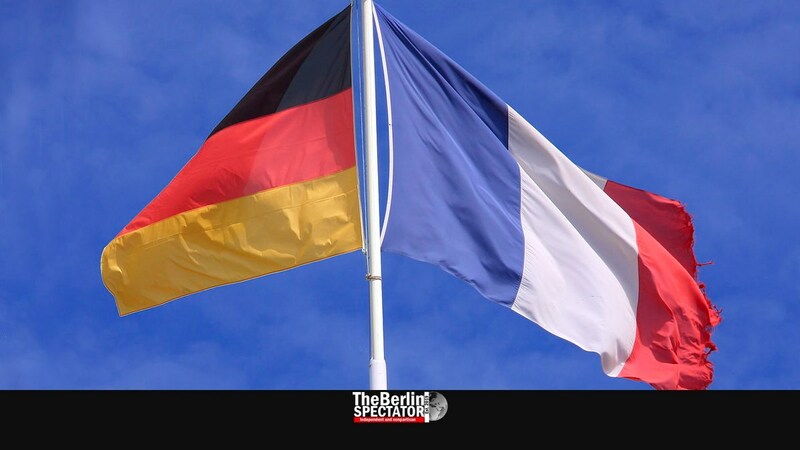 While one of the main members of the European Union is about to leave while performing some kind of a theater only few people in Brussels and other capitals really understand, France and Germany are moving closer together. The relations between the two carthorses of the E.U. were rather hostile, understandably from the perspective of the French, until the Élysée Treaty, signed 55 years ago today, kicked in. Now, Chancellor Angela Merkel and President Emmanuel Macron went a step further by signing a new agreement in the German city of Aachen, located right at the French border, which the French call Aix-la-Chapelle. “Treaty Between the Federal Republic of Germany and the French Republic About German-French Cooperation and Integration”: This long title will fill the first page of the document, but German-language media prefer calling it Treaty of Aachen. The parliaments in Berlin and Paris are supposed to ratify it today, even before the ink used for the signatures dries. “We want to give fresh impetus for the European unification”, Merkel said during the weekend. With her French colleague, she is setting a positive example in a European Union in which something has definitely hit the fan. The Élysée Treaty, signed by Chancellor Konrad Adenauer and President Charles de Gaulle on January 22nd, 1963, officially ended what was called the “hereditary enmity” between France and Germany. With that treaty, they became partners and started coordinating their policies. Cooperation between cities and in the field of education were part of this too. Over the years and decades, the cooperation was intensified. The European Union would not have been founded without this constant approximation. The Treaty of Aachen is the next step. It says that France and Germany will synchronize their positions even more. Before big E.U. summits take place, consultations between the two countries will take place on all levels. Germany has been trying to become a permanent member of the United Nations Security Council for quite a while now. In the treaty signed today it says that both countries are seeking a seat for Germany in that important body. Also, France and Germany will have a Council of Economy Experts which includes independent members. In the areas of health and ecology, the cooperation will be intensified too. Another important area covered in the new agreement is the military cooperation. The two countries will develop mutual rules for arms exports. And they want to defend each other in case of an attack on one of them. The Agreement of Aachen had been planned for a long time. President Macron announced it in 2017. Back then he said it was going to be a sign of stability, a symbol against the numerous crises which had already hit the European Union. Macron wanted to sign the treaty a year ago today. But the whole thing was postponed by a year. Maybe it should not have waited. Those French protesters called Yellow Vests, who are not giving Macron any break, demanded a referendum on the treaty before it is being signed. Of course that demand was rejected. This new treaty contains advantages, e.g. for certain kinds of organizations which will be supported by a French-German fund. Having educational qualifications from one state recognized in the other will supposedly be less complicated. Bilingualism in the border region is covered too. More students are supposed to learn the language of their neighboring country. In Aachen President Macron said, at a time at which nationalism threatened Europe, Germany and France had to live up to their responsibility. Europe needed to be the protective shield against threats from elsewhere in the world. Europe sometimes has its problems, Macron stated. Sometimes things are not improving fast enough. But “our people need this Europe”. Merkel said, the treaty would “renew the foundation of cooperation between our two countries.” It was a mutual answer to populism and nationalism.